While fossil fuels is nearing its demise, solar power is flourishing. Along with that, providers continuously innovate ways to develop panel durability. 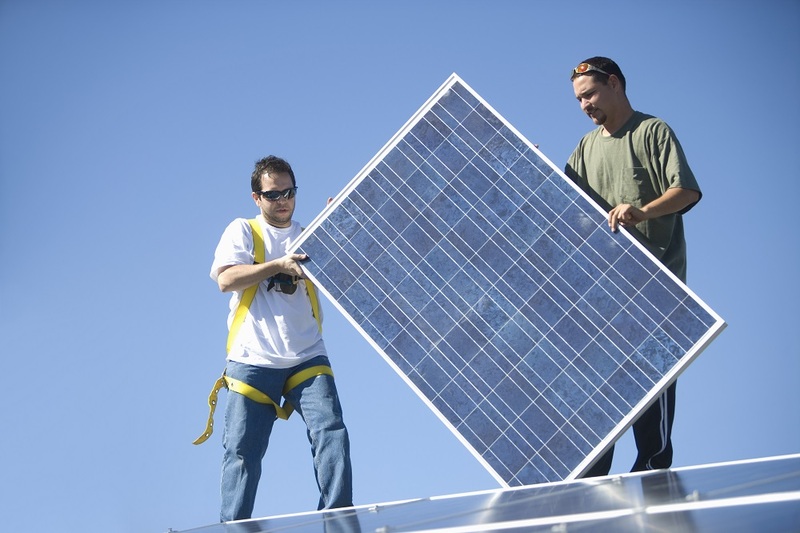 Nevertheless, there are inevitable factors that cause solar panel damage. How can you prepare for these factors? In this short post, we will discuss the causes of solar panel damage and how to prepare for them. It’s not difficult to be wary of large objects that might fall on your panels — tree branches, construction debris, etc. Yet, what you should watch out for are those small debris. You can’t always predict when these small objects might hit your panels. For instance, small pebbles that bounce as cars’ wheels hit the pavement — they might hit your panels and scratch them. Nevertheless, falling debris of any size, if left unattended, will eventually lead to energy efficiency loss. When lightning hits your solar panels, you won’t only get downtime — you will also get total panel destruction. Different ranges of damages can come from different sources — snow, codensation, or rain. Snow. If heavy snow sets on your panels, you should remove them immediately. Low-angle roofs covered in ice accumulate snow easily. Condensation. Most solar panels have no issue with condensation. You just have to ensure the buildup will not drip into your attic or reach the electrical wirings. Rain. Panels can withstand moderate rainfall or even hurricanes. However, the racking and anchors have to withstand strong winds — they need to be flexible. It sounds ironic but solar panels cannot handle extreme heat. This may lead to overheating and damage. Although panels are tested to withstand heat during the manufacturing, they can still overheat. You can prevent this from happening. You can add a ventilation system like fans. Although, you shouldn’t cool it down by splashing it with water while it’s scorching. Finally, you should watch out for fire hazards. Naturally, fire will destroy your panels and system, so you have to take preventative steps. First, make sure to protect the wirings well. If you have children or pets, ensure that they can’t go near them. Isolate your wirings by fencing them. If you’re about to install a solar panel system, ascertain that the installation will not be a hasty one. Haphazard setups will almost always lead to mishaps. Overall, these factors may be inevitable or manageable. What’s truly crucial is you prepare for them. Do your homework — the best way to prevent solar panel degradation is by educating yourself. Even better, consult the pros. Arm yourself with knowledge supplied by those who design panels firsthand. Why not start with us? Just fill in the assessment form below to get started!